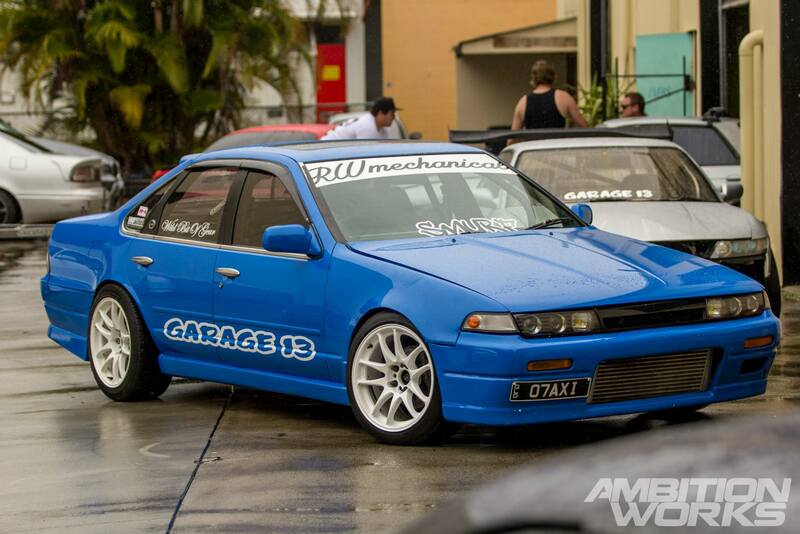 Another car hidden away at Garage 13 was this fresh Nissan Cefiro. I haven’t had much to do with Cefiros in the past as I usually stick to Silvia’s, but this was such a nice example of a done up Cefiro. 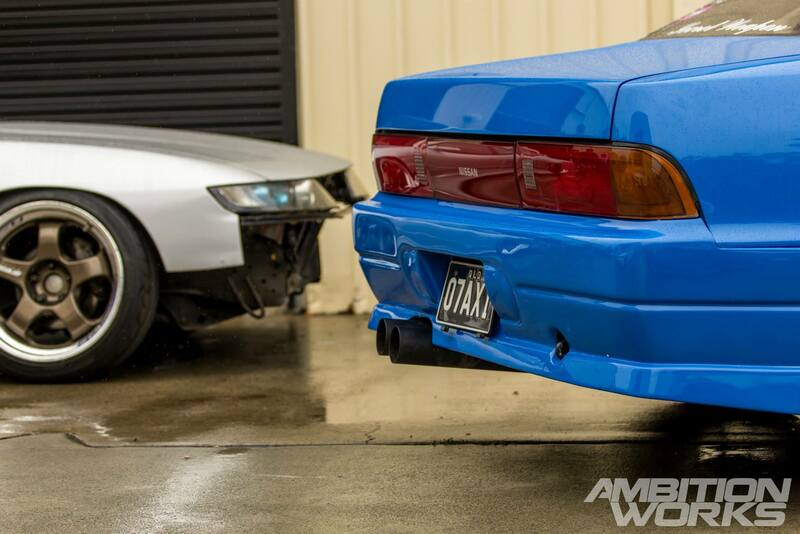 We just had to give a little bit of insight into the build. Recently the car has gone under the gun and got a whole new Smurf blue paint job, which looks mighty fine. It’s tastefully fitted with a full Autech bodykit and behind the front bumper sits a front mount intercooler set-up made with full stainless piping. The rear had been fitted up with series three tail lights, which don’t look too much different to the older versions. However they look just that little bit different to give the whole rear end a new vibe. 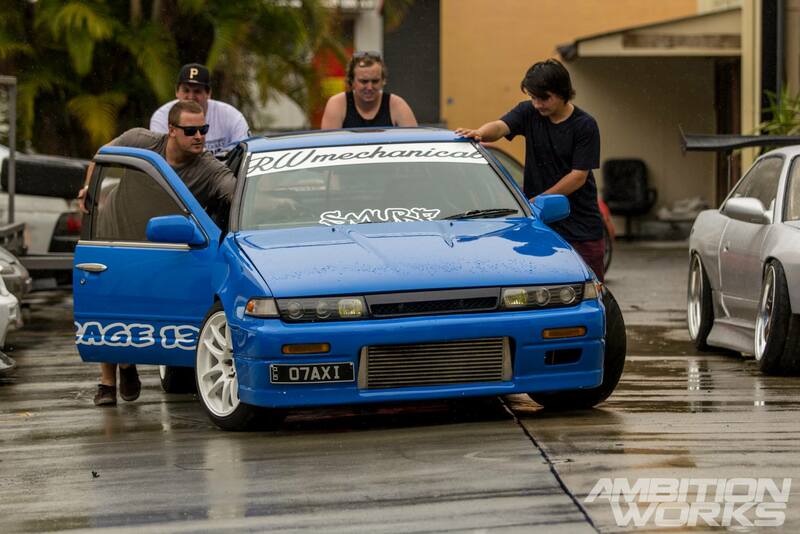 Here is the full frontal shot of the Smurf Cefiro lurking around at Garage 13. The white Work Cr-Kais really set off the light blue and white colour theme that it has going on – the colour theme of a smurf! Along with plenty of stickers plastered over the windows, the roof is fitted with a nice subtle spoiler or wing dependant on where you hail from. 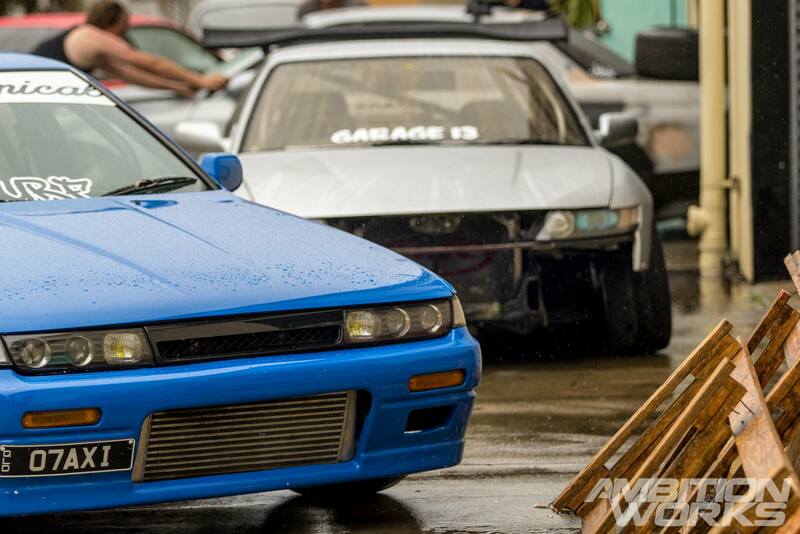 The car sports a Link G4 and is currently making 380 horsepower from the RB25DET engine. 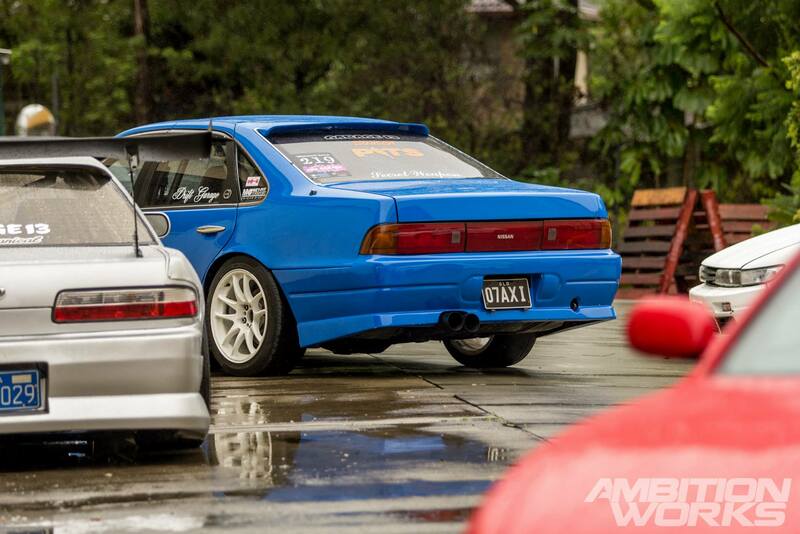 Suspension wise the drift spec Cefiro sits rather well. Fitted with Gktech arms and a set of HSD coilovers at all four corners. The Cr-Kais are bolted up to a bigger five stud conversion. Pushing along the 380 HP of fury is an RB25DET gearbox and a Cusco 2 way differential. 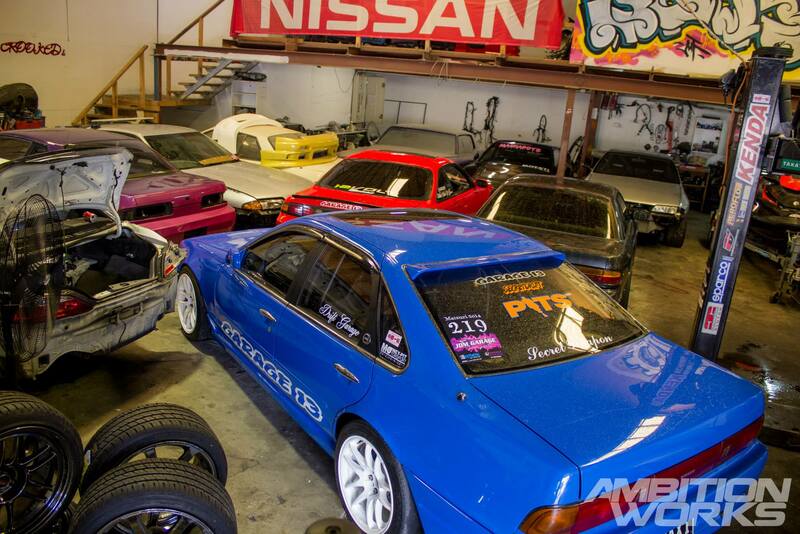 As you can see the guys at Garage 13 have a whole array of sweet cars. Expect to see a couple more feature cars coming out within the next few weeks! Thanks for the write up boys and thanks again for the photos it looks mint 👌 the car is going in for its final stages of tune and hopefully will be boasting a full 500hp 🙂 will keep u updated.